May 15th to 20th 2014. After a lot of planning and saving, we are off to Europe; flying Singapore airlines via Changi Airport. 23 hours later, we are at Charles De Gaulle Airport. Paris here we come! Arrive Paris. Transport by mini bus to our apartment near Notre Dame. Over the next few days together with Nan and her sister Kim, we do the majority of tourist things in Paris, visiting Notre Dame, Saint Chapelle, The Eiffel Tower, Arc de Triomphe, Palace of Versailles, Fontainebleau. Monets Garden and more. May 21st to 24th 2014. 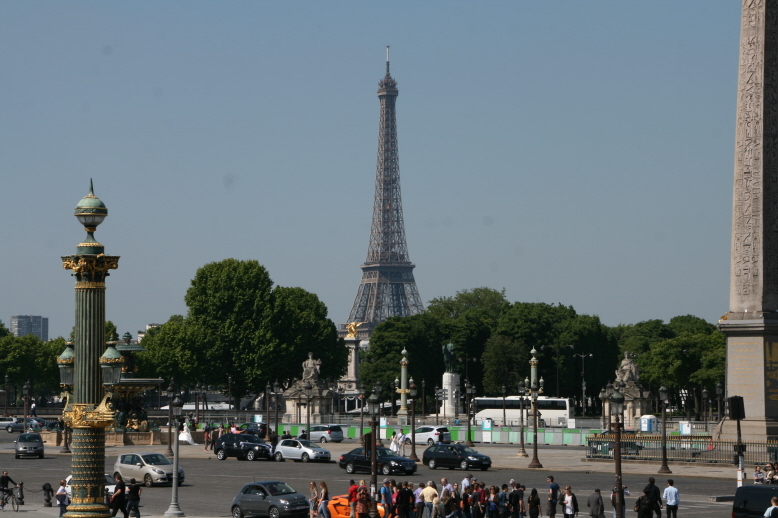 We depart Paris on the TVG for Tours where we pick up our hire car from Europcar. This turned out to be a new Toyota Auris Hybrid. Took a while to determine the car had actually started, being so quiet. It was not such a problem driving on the other side of the road, rather was the unfamiliarity of the roads and destinations resulting in a few U turns. Our accommodation was in Vouvray in a cave. Very cosy for Troglodytes and a lovely little restaurant (also a cave) nearby called Les Gueules Noires (booking required). 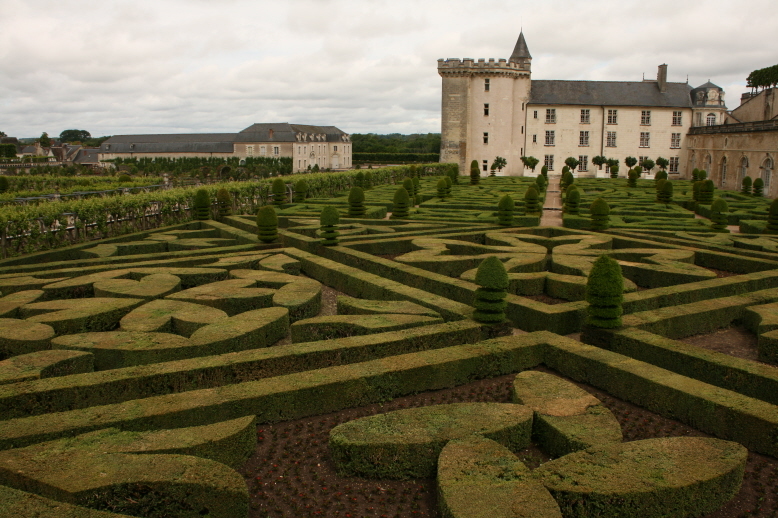 From here we visited Amboise, Chenonceau and Villandry. I also set up the radio gear for the first time; just off the path that leads to our cave. Contacts (22/07/14) with Y04PX at the Black Sea on 15 metres SSB, 7S6W Vinga Island IOTA Expedition Sweden EU-043 AT 18:52 hrs on 18.152Mhz SSB and (23/07/14) IW3FZQ/QRP on 20 metres CW. May 24th to 26th 2014. A long drive to Le-Puy today. Keeping off the tool roads as wanting to see as much country side as possible. 450 kilometres in 9.5 hours including breaks along the way. Thanks to Google Maps, no worries finding the B& B hotel. 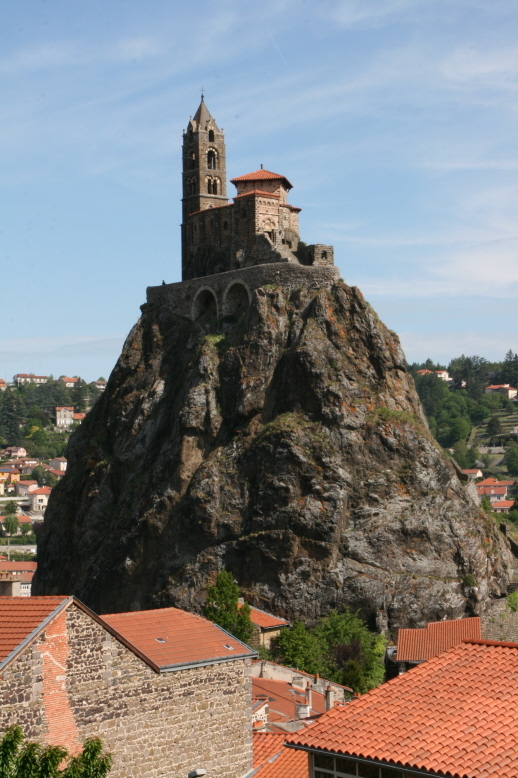 Le-puy is a fascinating area with churches being built on top of volcanic plugs. Also a part of the Pilgrim Trail. F/MC-101 Mt. 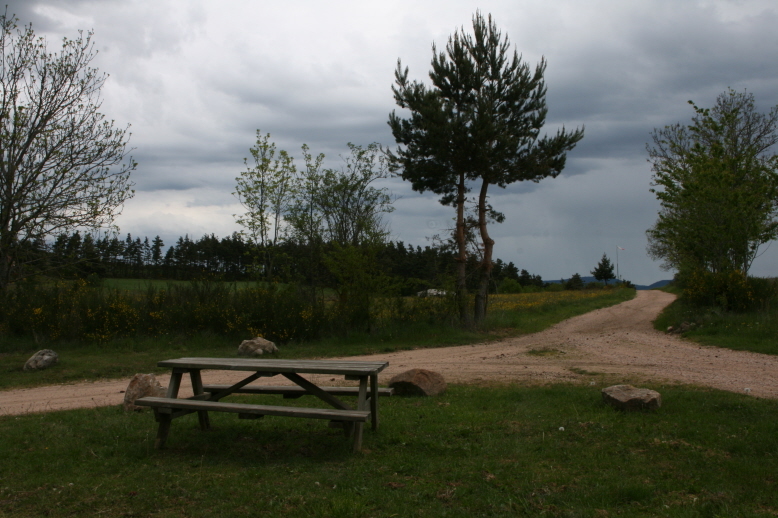 Serre (936 metres) on the 25th May. 1 point, activation time 11 minutes. First activation of this summit. Now de-listed due to revised prominence requirements. May 26th to 29th 2014. Departing Le-Puy we follow the Loire valley into Firminy (very pretty), S-Etienne and into Lyon wherewe stayed on the peninsular between the Rhone and Saone rivers. A great location but not car friendly. We left the car in a carpark for our stay. Visited the Roman ruins and saw the Lyon AR club rooms. Wandered the streets through the traboules and ate well! May 29th to 30th 2014. An early departure from Lyon but not without a dispute on the parking fee; being 30 Euros more than what we were quoted. Glad we had the attendant write it down. paid with cash to avoid any surprise. Heading to Annecy today Via Mont Du Chat and lac du Bourget. 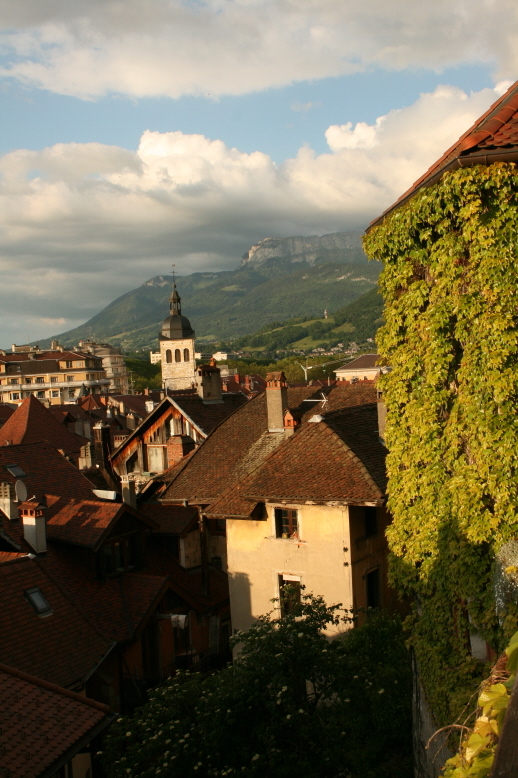 Annecy is a very pretty tourist town located on Lac d’Annecy and close to the swiss border. Our time is spent walking the village. It is hot so the fresh ice cream goes down well. Our hotel has an external balcony area with a magnificent view. We have local produce take away and wine for our evening meal. 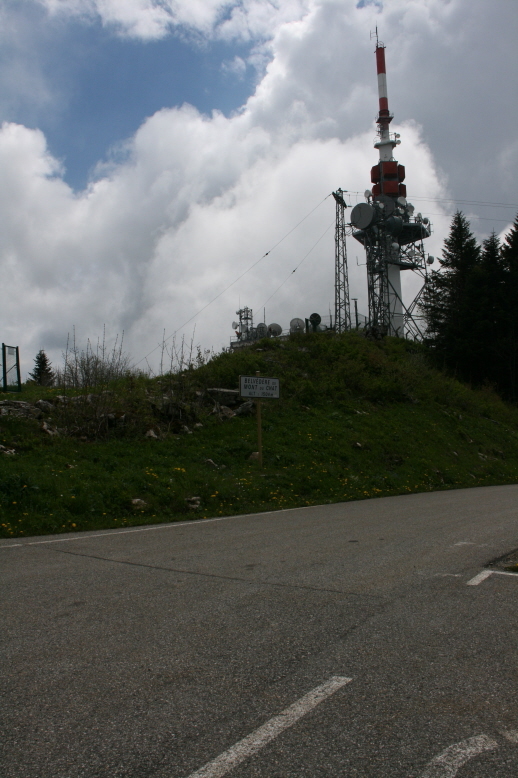 This summit has been part of the Tour de France and remains very popular with cyclists and walkers. There is a communications tower on the summit plus a restaurant / cafe which is where we had lunch and a hot drink. WX was cool to cold with threatening showers, I was able to arrange a sked with Ed DD5LP (VK2JI). Mobile phone coverage (Orange) was patchy. My activation site was located off a walking path which led from the cafe in the opposite direction of the communications tower. I chose this to keep away from RF noise and not disturb other visitors. The European CW chasers are very good. All slowed down to my average rate of 15 WPM. With the number of replies coming thick and fast, it was difficult to pick our a complete callsign. There were many of . . – – . . sent plus the CW decode on the KX3 helped. All up I was quite pleased with the results and glad that I have kept up the CW practice. With this activation, I did not spot myself. Rather I used the Reverse Beacon Network (RBN) system This works by placing an alert of your activation and nominating CW as the mode. Receivers called skimmers will scan the CW portions of ALL bands and, if they receive your callsign in a period 1 hour prior to and 3 hours after your nominated time, they will spot you on SOTA Watch complete with frequency, CW speed and signal to noise ratio (S/N). The pre and post times plus summit details can be lodged with variables to allow for either different times and summits. This worked well in France but due to lack of skimmers, is not great in VK on 40 or 30 metres. We departed Mont du Chat and followed some extremely tight and narrow roads across the next divide into Annecy. There were many touring motor cycles on the road and a head on collision between two cars reinforced the need for careful driving. May 30th to June 1st. Today we headed to Beaune via the N5 ? D1005. A good drivers road but for the car which suffers from severe understeer and, being fully automatic, has bugger all engine breaking. Oh well. 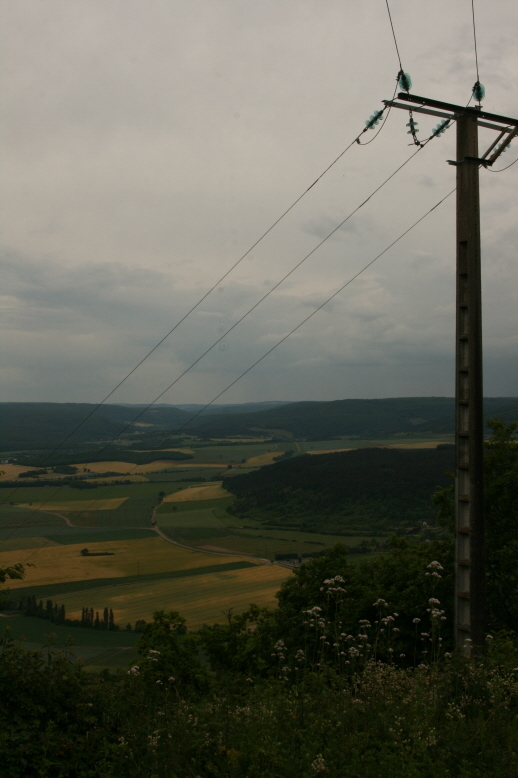 IOt was a very scenic drive through the Jura mountains with many ski fields surrounding the road. Once again, many touring motorcycles. The Honda Gold Wing Club was in Annecy. Arrived in Beaune in the early afternoon, this time no problems finding the hotel. The issue was the hotel was not what we expected, being in the middle of an industrial area, self check in and home for at least one night to a football club convention. Even at this hour there were people hanging out the windows. Using wisdom found only with practical long term experience, we found a much nicer place close to the centre of town, No football players ar this one. Beaune is in the heart of Burgundy, is the home of Hotel Dieu with magnificent Flemish paintings plus mosaic roofing tiles, Burgundy Wines and Boeuf Burgundy. The main town center is surrounded by a n old wall and fortifications. A short hop up to Dijon – home of Mustard and also in Burgundy via the back roads and a stop at Chateau du Clos de Vougeot. We spent the morning in Beaune and were in Dijon by mid afternoon. We found our way to the hotel with only one navigational error; solved by reversing up the one way street to our hotel entrance. Glad of little traffic! Dijon is a very nice town, more quaint than the bustling Lyon. Beware though, as with le Puy, practically everything shuts down on Sunday afternoon after lunch. Now de-listed due to prominence requirements. The Loire Valley district is now in FL (France Low) association. Today, after dropping Kim off early at the train station, Nan and I set off in the car for a day trip. We visited Fontenay Abbey in the morning, lunch at Montbard and Chat de Bussy Rabutin de Vercingetorix in the afternoon. 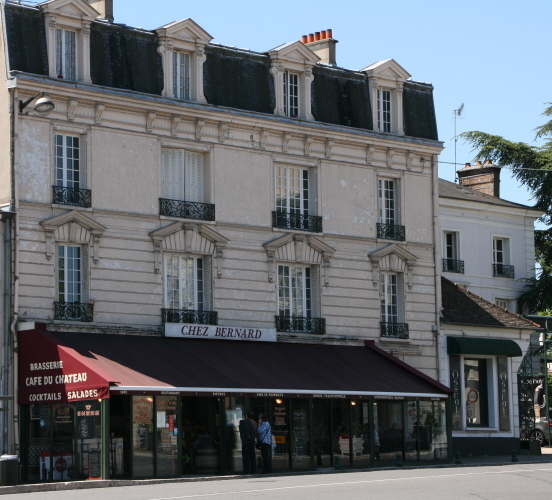 The plan was for the activation to be around 3mp local time however this was put back an hour as the Chateau did not reopen until 2:00pm as is often the case in France. A text message was sent to Ed DD5LP with whom I was coordinating an S2S contact. WX looked like rain threatening. Ed was in a similar position. Ed was my first contact on 40m SSB (DM/AM-178. I stuck with 40 SSB as I had been spotted and promptly worked 6 further stations. I then noted EI/G4ASA/P spotted on 30 metres CW so a quick qsy bagged a S2S with EI/IS-074 and 4 points. Many thanks to Chris F6FTB for his local knowledge on this summits access. Access was easy. Drive right up to the top where there is a small communications tower. I walked down the power line track to exit and re-enter the activation zone. BEWARE if doing this as it goes over a cliff and the route is quite scrubby. Walking down the road, although longer, would be a safer option. Nan and I headed back to Dijon without getting lost; the rain held off! Nan and I depart Dijon on a similar route to Yesterday. We seek the source of the Seine to which we eventually find! We parked at the Source of Seine Promenade which turned into a goat track and lead us lord knows where. Using the GPS we headed back towards the car via another road and a farmers paddock to find the actual source some 400 metres further on from where we had stopped. All signs point to D’arcy so we stopped there for a look! Nice sign! 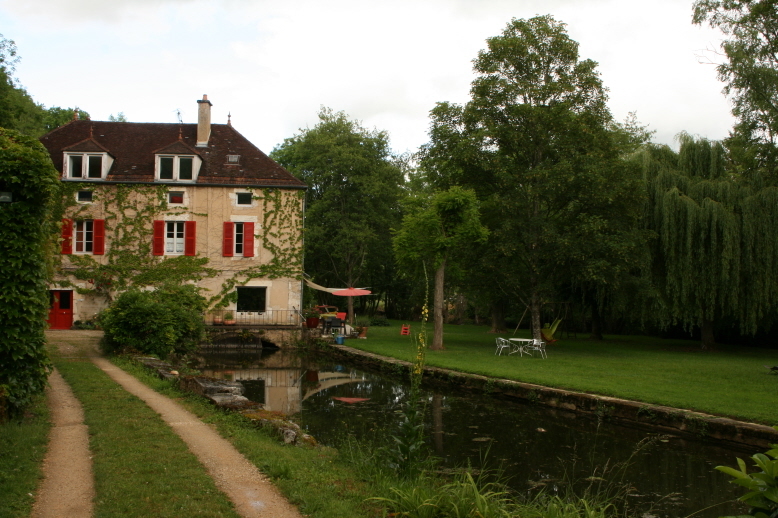 We headed to Noyers where we stayed in an old Mill. 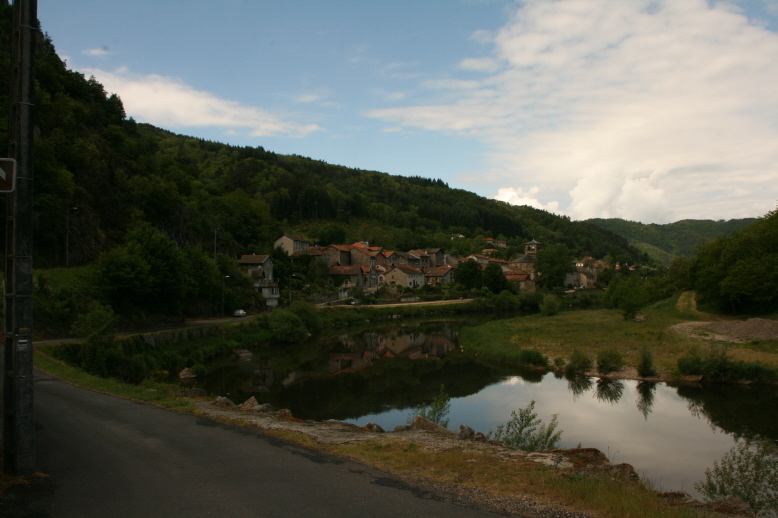 This is one of the nicest villages I had seen thus far in France, with a great little restaurant too. Very heavy rain on and off for most of the day. Noyers to Joigny via Avallon today. We meet up with Geoff and Jenny and pick up their luggage to take with us to Joigny. They in turn catch up with us having picked up Michael and Dianne from Avallon. We returned the car today and also checked out the local shops for a shopping spree tomorrow before picking up the Canal Boat from Locaboat. 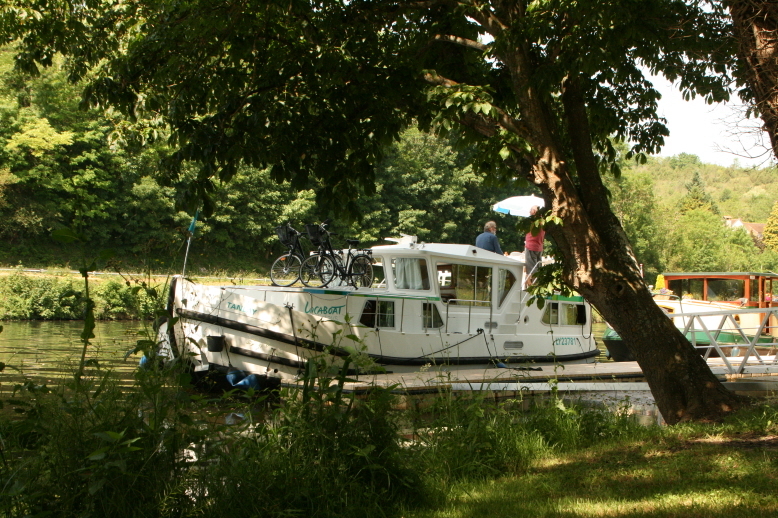 The six of us travel by our Locaboat Pinechette “Tamlay” from Joigny to Corbigny. Highlights are Geoffs pink BBQ, good company, wine, food and country side. Traveling in this direction is UP RIVER. This means we started off in the Yonne river before entering the canal near Auxerre. At this point the river is no longer practically traficable but we do cross the river a number of times. The frequency of locks plus the required lift increases as we progress towards Corbigny. As the canal is rather narrow, one has to concentrate on driving, with other boats, shallow water, very low bridges, swing and tilt bridges and the locks. The WX was generally warm to hot, it did rain one night but the heat stayed with us. A visit to Bailly Lapierre Wine Cave provided a short but very refreshing break. Some take-aways were purchased for later on! On conclusion, we have an adventurous journey by taxi and train back to Paris. 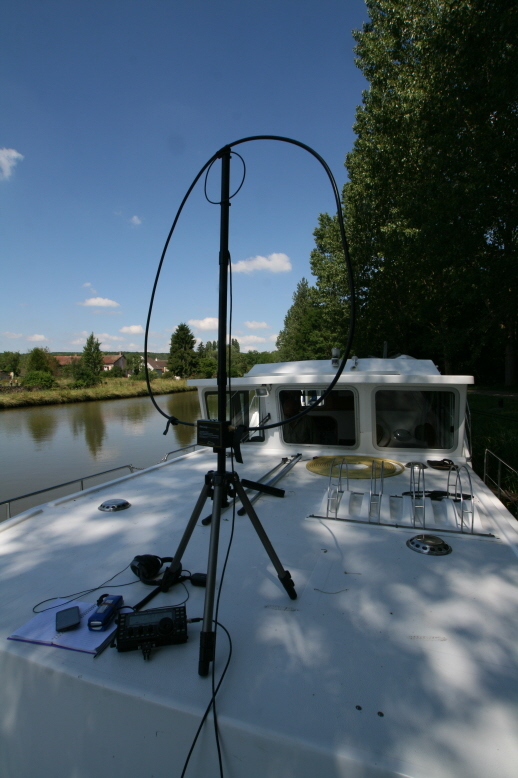 On occasion I have set the KX3 and Alex loop up on the deck or on the land / jetty along side the boat. Stations worked as follows”. 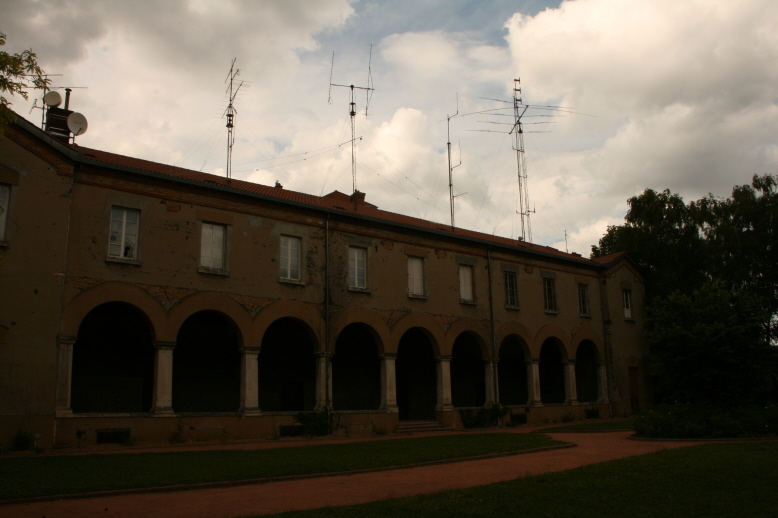 7/6/14, IZ6BXV, 12 metres SSB, PESCARA on the East coast. The simple set up meant I could pull it down to get under all the low bridges! The CW contacts were relatively easy once I had broken through the pile up, the 40 metre SSB contact was hard, my signal quite weak! Last day in Paris. The Louvre is closed. Had a quick look yesterday evening but only a 1/2 hour before it closed so not worth it. Went up to Sacre Cour. 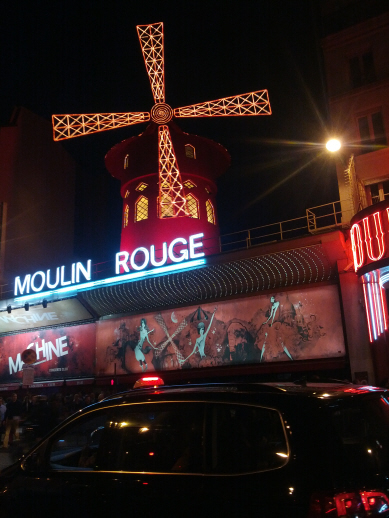 Moulin Rouge with the others tonight.